More than 130 years of harsh weather with bitter winter cold and heavy spring run-off has taken its toll on Gunsight Bridge, which serves as a connection between the most popular trails in the Gunnison Valley and the town of Crested Butte. The bridge was designed at a time before the ecology and hydrology of the Slate River were well understood. Not only is the bridge in disrepair, it needs to be redesigned and rebuilt to support natural water flow. Without it, the wetlands and habitats for beaver and Great Blue Heron are compromised. 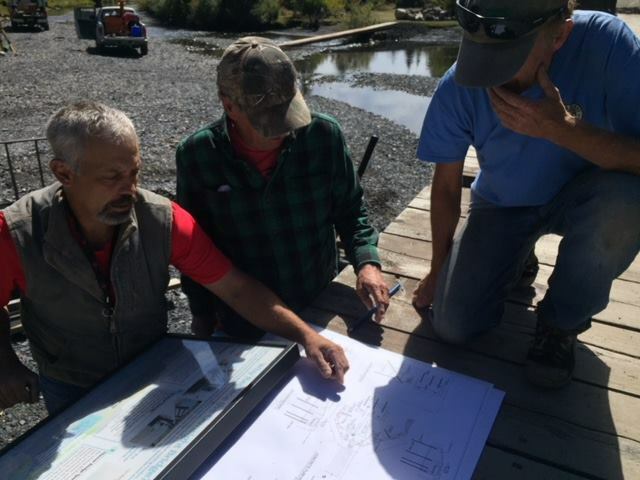 The Gunsight Bridge replacement project is now underway, and soon the Slate River will be restored to its natural flow. The Chris Mikesell Foundation first donated to the Crested Butte Land Trust in support of this project in 2017. A second grant has been awarded with an additional $3,000. In addition to preserving the wetlands and habitats for area wildlife, a new bridge will create a safe crossing to the area’s most popular trails. Upwards of 100,000 people use the Gunsight Bridge throughout the year. Chris loved the time he spent in Crested Butte and was passionate about the need to retain green space in the Gunnison Valley. We’re proud to support this project in his memory, preserving the environment’s natural beauty and improving access to outdoor activities. Read a thank you note from Crested Butte Land Trust Executive Director Noel Durant. This entry was posted in Foundation News & Events. Bookmark the permalink.